VietPress USA (Feb. 11, 2019): Trump comes to El Paso in Texas to promote his border wall. In 2016, he announced that he will build up a wall along US-Mexico border and Mexico will pay for the wall. His dream failed because Mexico's President said that his country never pay any cent for Trump's wall. Mayor Dee Margo repliedTrump ina Twee: "El Paso was NEVER one of the MOST dangerous cities in the US. We‘ve had a fence for 10 years and it has impacted illegal immigration and curbed criminal activity. It is NOT the sole deterrent. Law enforcement in our community continues to keep us safe #SOTU". 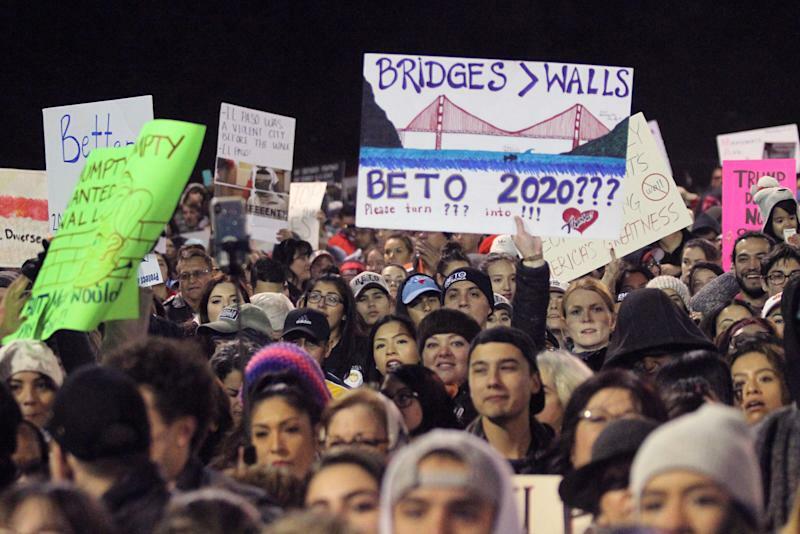 O’Rourke, who represented Texas’s 16th Congressional District for three terms but lost his bid to unseat Republican Sen. Ted Cruz in the 2018 midterm elections, has been one of Trump’s most strident critics on the subject of a border wall. 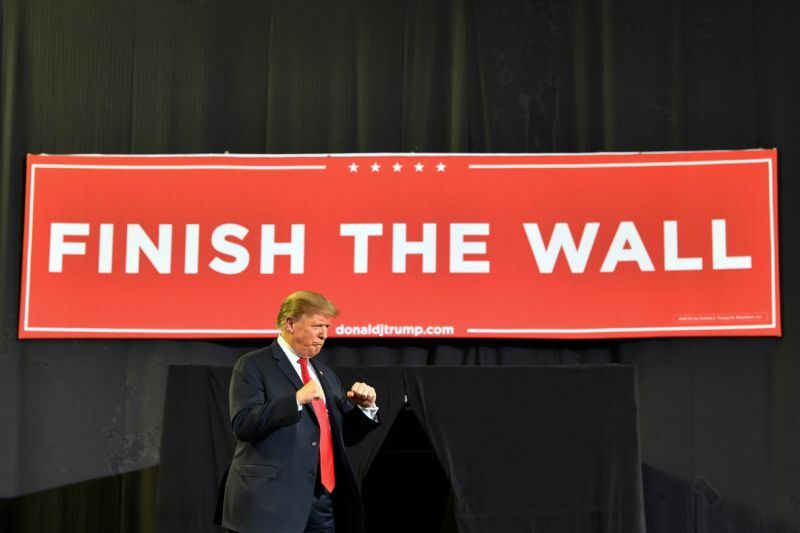 President Trump returned to the campaign trail Monday with a boisterous rally in El Paso, Texas, a city that he claimed had benefited from the construction of a border barrier similar to the one he has long promoted. In a speech that was repeatedly interrupted by protesters, Trump argued that “walls save lives. Walls save tremendous numbers of lives,” and assured his crowd that the one he promised during the 2016 presidential campaign was underway. “Today we started a big beautiful wall right smack on the Rio Grande,” Trump said, without providing details. In a speech ostensibly meant to promote the border barrier, Trump took his time getting around to that topic. First, he spent approximately an hour attacking Democrats on a number of issues, including taxes, the Green New Deal and late-term abortion. In fact, El Paso, which has a population of 683,577, had one of the lowest violent crime rates for a city of its size before the border barrier was built. That rate edged up slightly after construction of the barrier was complete. Before Trump’s rally, several local officials, including the town’s Republican mayor, sought to correct the president’s assertions. “It almost seems like the president had to say that we were once dangerous in order to further his narrative that immigrant communities are inherently bad, or that immigrant communities are inherently unsafe,” Rep. Veronica Escobar, D-Texas, said at a Monday press conference in her hometown of El Paso. Trump took note of O’Rourke’s participation in the nearby rally. 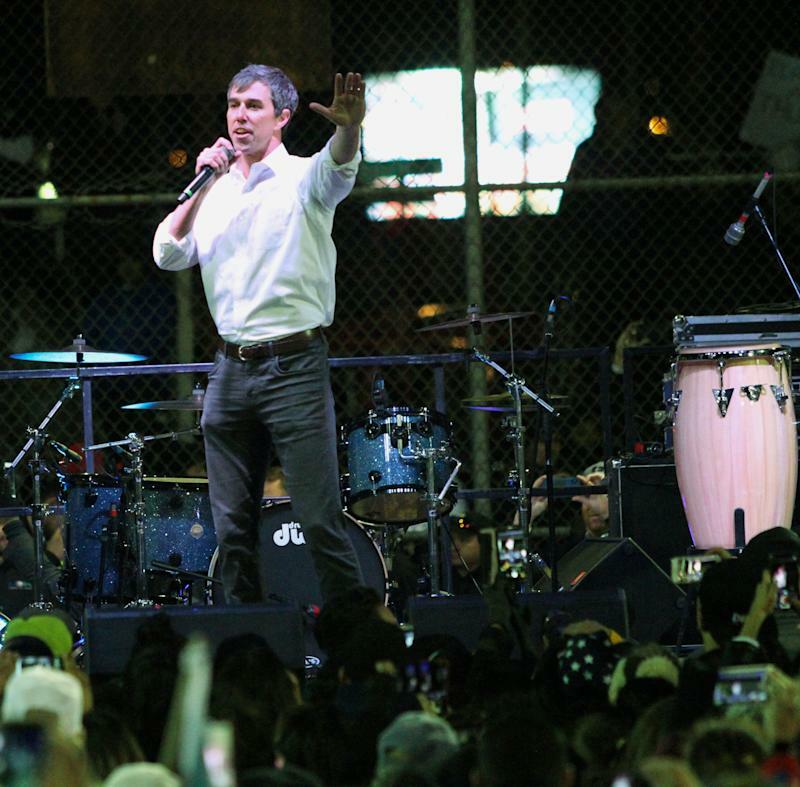 By the president’s tally, his own rally dwarfed the one O’Rourke led, a fact that he said could “be the end” to O’Rourke’s presidential ambitions. Trump said attendance at the “March for Truth” rally was 200 or 300. El Paso police estimated there were “10,000 to 15,000” there. Since he kicked off his 2016 presidential campaign in Manhattan on June 16, 2015, Trump has been fixated on the idea that immigrants crossing U.S. border with Mexico represent a criminal threat. While his stance on a border wall resonated nationally, it proved somewhat less effective along the actual border. Trump won the state by 9 percentage points in the 2016 election but ended up losing El Paso County by 40 points. Two years into his first term as president, Trump hasn’t backed off the assertion that immigrants crossing the southern border bring crime with them, even though studies have found that undocumented immigrants commit crimes at lower rates than native born U.S. citizens. In the run-up to the the 2018 midterm elections, the president pushed hard on what he saw as the need for a border wall, but ended up losing the House of Representatives to Democrats. While the GOP picked up three seats in the U.S. Senate, O’Rourke lost to Sen. Ted Cruz by just 220,000 votes, the smallest margin of victory for a Republican Senate candidate in 40 years. Trump’s insistence on congressional funding for the construction of a border wall led to the longest government shutdown in U.S. history. As yet, however, no new miles of wall have been built, which could ensure that the issue will once again be a focus of the upcoming presidential race. —Holly Bailey contributed to this article.